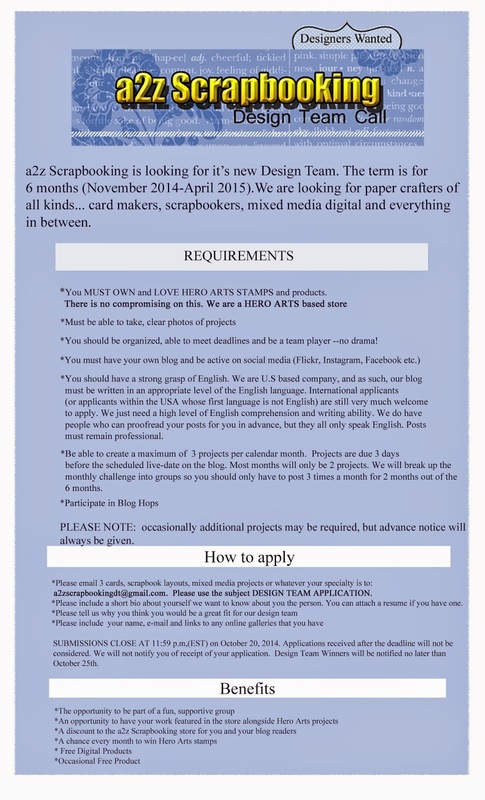 This is just a quick post to let you know that the lovely ladies over at a2zScrapbooking Supplies are holding a Design Team call! You should go check it out immediately!!! They're such a great bunch of designers and its definitely a team you want to be on! I hope you'll consider applying! it's a supportive group and dealing with Hero Arts products, is ALWAYS a pleasure! They practically do the work themselves.